Gone With The Wind is one of the “scariest” novels for me. No, of course it’s not a scary novel, but the total pages did make me think twice before buying it. Will I make it all the 1448 pages of it? However, being the Pulitzer winning price, Margaret Mitchell’s novel Gone With The Wind is certainly a must-read book. 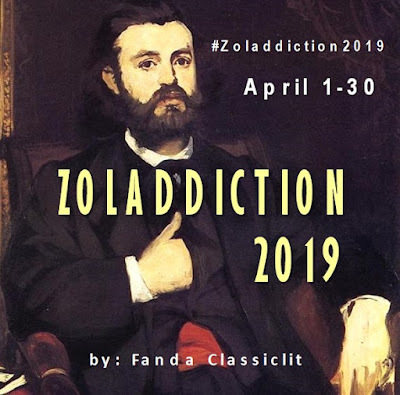 Thanks to The Classics Club Project by Jillian, I found that Bzee (book blogger fellow from Indonesia—like me) also put Gone With The Wind in her list. So, I asked her whether we could read this book together. Then…I have a better idea. Why not hosting a read-along? I think there are many of you who haven’t had chance (or courage J) to read Gone With The Wind, yet so eager or curious to read it, or you have read it but want to re-read it. To read it together is going to be fun! This read-along is opened internationally, anyone is welcomed to join. Participant must sign up via comment box in the participant list page. If you want to post about this read-along in your blog, you can add your post URL in comment box of the participants list page. I will update the list periodically, you may join the read-along anytime (even in the middle of read-along schedule), as long as you can catch up to finish the book by November 7th 2012. It’s not a must, but I would appreciate if you’d grab and put the Gone With The Wind Read-along button in your post. Or if you don’t write any post, you can put it in your sidebar, linking here, to let your followers know about this read-along. Oh… and for my dear Indonesian fellow bloggers—before you ask the question—yes, you may post in Bahasa Indonesia, but personally I recommend you to post in English, to make it easier for other participants to read your thoughts and have discussions. To read along together with friends is my main purpose of having this event, so I prefer to have some discussion after finishing each part. Therefore I plan to open an update posts page during the read-along where you can share URL of your own update posts. These posts are not mandatory, you can skip it if you don’t have anything to say. 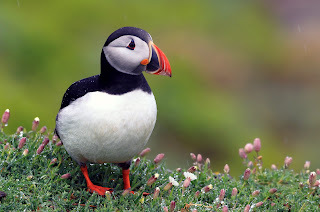 If you only want to say something brief about certain part but do not feel like writing a post, or else you don’t have a blog, you can just make a comment on the “update posts”. With the “reply” button we can have a discussion there as well. There will be four update posts, for part one to part four, while nearly at the end of read-along I will publish a “reviews page” (there won’t be update post for part 5, we can directly write a review for the whole book). This is the best part! For you who post your updates in your blog or in comment box, will be able to join my giveaway! Each update post/comment would be counted as one entry, and at the end of read-along, I will pick one (or—hopefully—more) winner. To anyone who would like to host his/her giveaway during this read-along, please feel free to contact me, so I can post about your giveaway in this blog. There won’t be any strict schedule to read certain pages in certain days, everyone can have their own pace. Just feel free to add your link after you finish certain part, anytime. This way participants can check how others are going, or have discussion about certain parts. Please add the URL of your review in the “reviews page” after finishing the novel. The review post is mandatory, but if you don’t have a blog, you can use comment box to write your opinion. 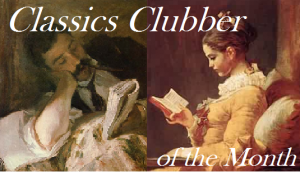 Starting end of last year, I have a habit to post my classics book reviews on the birthday of the authors. It will work also for Mrs. Mitchell, whose birthday is on November 8th. That means we can finish our reading and write the review anytime, but we will publish it only on November 8th as a ‘special gift’ for Mrs. Mitchell. 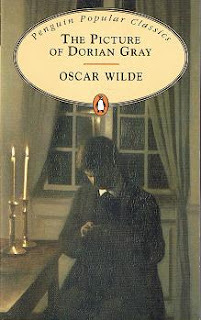 I had spent the whole last week together with the witty and flamboyant Oscar Wilde in his ‘ThePicture of Dorian Gray’. Sipping the 256 pages and publishing chapter posts every day was quite a hard task, but I really enjoyed every moment ‘till the end. Actually the next book on my schedule is The Old Curiosity Shop by Dickens, and I have started the first few chapters, however now I don’t feel very excited to continue on. I don’t know, perhaps it’s because I have spent my energy and emotion to finish Dorian Gray. So, now I’m still not sure what to read next. I have Dr. Jekyll and Mr. Hyde and Dumas’ Twenty Years After on my TBR, but Dr. Jekyll is too gothic (not after Dorian Gray definitely! ), and Twenty Years After…hmm..it’s 600s pages..! On the other hand, I have in my Kindle several classics short stories, maybe I’ll pick few of them to cool my brain off J. Besides, several of them are Victorian authors too, so I can still read something for AVictorian Celebration anyway. I have here: Thomas Hardy, Wilkie Collins, Charles Dickens, Henry James, Mark Twain, Robert Louis Stevenson, and Edgar Allan Poe. Which one do you think I should grab first? J. Should I go to America? 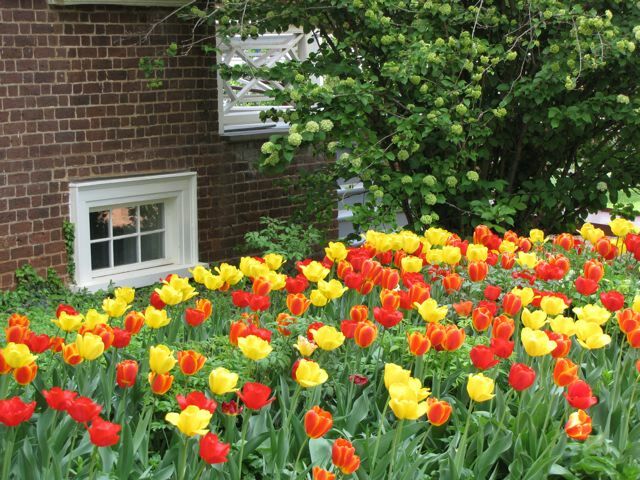 Or should I stay at the city of the following image for a little while….. Can you guess where it is? Meminjam sebaris kalimat dari Hamlet karya Shakespeare yang juga dikutip oleh Oscar Wilde di buku ini, kupikir seperti itulah keseluruhan kisah The Picture of Dorian Gray ini. 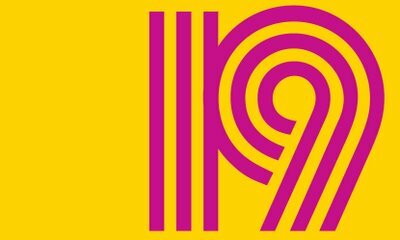 Dorian Gray adalah seorang pemuda 20 tahun yang ketampanannya menyiratkan kemudaan yang menyegarkan dan tanpa dosa, seperti jiwanya saat itu—saat sebelum dunia mulai meracuninya. Dorian bersahabat dengan seorang pelukis terkenal bernama Basil Hallward yang segera terpesona dan memuja Dorian. Basil melukis potret diri Dorian sambil mencurahkan kecintaannya pada pemuda itu ke dalam lukisannya, yang kemudian menjadi sebuah mahakarya. Sahabat Basil yang lain, Lord Henry, adalah seorang pria yang memuja kenikmatan, dan memandang dunia dan kehidupan lewat cara pandang yang sinis dan skeptis. Lord Henry inilah yang kemudian—setelah berkenalan dengan Dorian—menyuntikkan ide-ide yang meracuni pikiran Dorian sehingga si pemuda menjadi pemuja kemudaan. Ia lalu ‘berdoa’ agar lukisan dirinya lah yang akan menjadi tua dan lelah akibat beban hidup Dorian, sementara dirinya sendiri tetap muda dan tanpa garis-garis kehidupan di tubuhnya. Entah bagaimana, ‘doa’ itu terwujud, dan ketika jiwa Dorian—akibat pengaruh buruk sekitarnya—makin bobrok, ekspresi dirinya di dalam lukisan itu pun pelan-pelan berubah. Sementara itu Dorian berubah menjadi makin jahat, dan jiwanya makin ‘gelap’. Dari luar ia tampak tanpa beban, padahal di dalam jiwanya keropos dan ia tak sanggup bangkit dari keterpurukan. Pertanyaannya, akankah Dorian Gray sanggup bangkit dari keterpurukannya? Ketika jiwa manusia sudah tergerogoti demikian dalam, manakah yang lebih gampang, berusaha ‘kembali ke jalan yang benar’ ataukah malah jatuh semakin dalam? Lima bintang untuk Dorian Gray dan Oscar Wilde! The Picture of Dorian Gray, I think, is Oscar Wilde’s allusion to the world for over-worshipping beauty and youthfulness. Through this book we are also invited to see the development of human spirit in general. I see the picture of Dorian Gray as a reflection of his soul. Dorian wanted to have barter with the devil to exchange his own soul with the physical youthfulness of the painting, and with that, he hoped he will forever be free and have fun without having to bear the brunt of his actions because the painting was the one who will bear it. Oscar Wilde has fascinated me with his paradoxes and artistic style in writing Dorian Gray. Just as Basil Hallward had left something of himself in the picture of Dorian Gray, I believe Wilde had also left his flamboyant personality and passion of aestheticism in his writing. As I already mentioned in one of my posts, if book was a drink, Dorian Gray were a cup of coffee; instead of drinking it in gulps, I took it sip by sip, while savouring the bitter-sweet taste, feeling the warmth liquid flowing through your throat and inhaling the sweet fragrance that come into my nostrils. There are many aspects in this particular ‘cup of coffee’ that I can enjoy, which, if I drink it in a hurry, I will certainly lose the sensation! That is how I have savoured The Picture of Dorian Gray in about ten days, having been busy with reading and posting chapter posts, but in the end it ‘s worth all the efforts J. I enjoyed Dorian Gray till the last drop. Five whole stars for this book! "It was a marvellous spotted thing, as effective as the seven deadly sins." 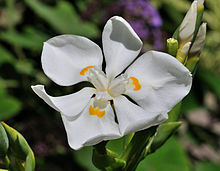 It's a fine specimen of orchid called Robinsoniana. Lord Henry had cut it to be placed in his buttonhole. With a burdened soul, Dorian took a hansom to the slum area of London, where people like him found 'heaven' in opium dens. 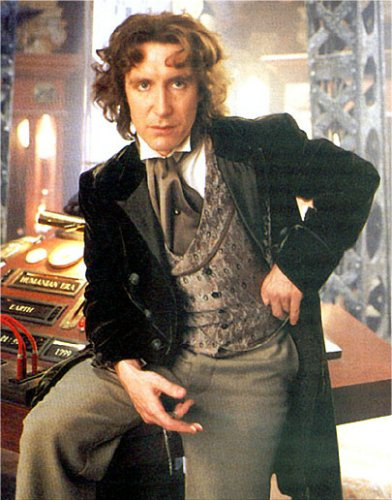 There a woman recognized him as the 'Prince Charming', the nickname Sibyl Vane used to call him. Unfortunately James Vane—who at the same time was somewhere near the den—heard it and tried to kill Dorian to take revenge for his sister. However Dorian used his immortal youthfulness as an alibi (as Sibyl’s death was already 18 years ago but Dorian’s appearance was seemed to be in the twenties), and escaped the murder attempt. "Like all good reputations, every effect that one produces gives one an enemy. 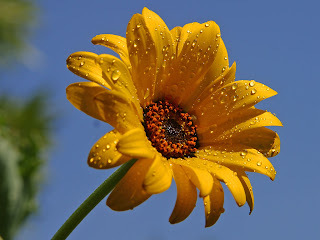 To be popular one must be a mediocrity." "Scepticism is the beginning of Faith." "We can have in life but one great experience at best, and the secret of life is to reproduce that experience as often as possible." This would be my last chapter post for The Picture of Dorian Gray, I would conclude all after finishing the third last chapters, and will post my review as a wrap-up post. 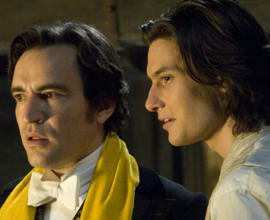 Basil is a young talented and well known artist who was fascinated by a rich beautiful young man called Dorian Gray. After they become friends, Basil painted a picture of Dorian. His passion towards Dorian reflected to the picture—which later become Basil’s masterpiece. After seeing his own picture, Dorian Gray wished to keep his youthfulness immortal, while the picture must bear all his corruption in flesh as well as in sins. The altered Dorian was now enthralled by the poisonous-mind Lord Henry, and neglected Basil. However, Basil kept taking good care of his friend. From the first time Dorian met Lord Henry, it was Basil who warned Lord Henry to not poisoning Dorian’s innocent mind. I see Basil as a man with a strong morality. Every time Lord Henry or Dorian said of something cynical or immoral, Basil would say something like, ‘you know you don’t mean that!’, as if he trusted that his friends would not think such an awful idea. In many occasion Basil tried to prevent Dorian from moral degradation in the society, however he never forced his will to Dorian. No matter how Dorian has neglected him as a friend, Basil would always be patient to him. When Dorian did not let Basil see his own painting, Basil sadly accepted Dorian’s decision without arguing. When negative rumors about Dorian began to spread within the society, Basil always stood for Dorian. And after Basil knew that Dorian had changed completely and had done all the evils everyone had rumored about, Basil did not accused him nor said hard things in anger. Basil only asked Dorian to pray together with him, to ask for repentance from God. He did not mention about Dorian’s sins, but only wish him to be relieved from them. How lucky anyone who has a friend like Basil! If there was any negative point in Basil’s character, it was perhaps his idolatry to Dorian. I mean, it’s normal to love and adore someone, but I think Basil had been over-worshipping Dorian, that had a bad influence to Dorian in the end. But overall, I like Basil Hallward, he is a friend who will always be there for us, no matter how bad we treated him sometime… Don’t you just love to have a friend like that? 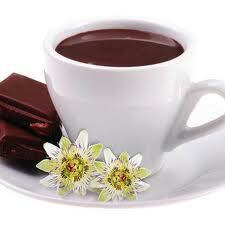 A cup of hot chocolate! I like to sip thick and sweet hot chocolate; and a cup of chocolate had also opened chapter XIV, when Dorian sipped it calmly from the cup his valet gave him in the morning after he killed somebody in his house! After committing the murder the night before, Dorian would like to make the corpse vanished, to scrap all evidence. He asked a chemist help, one of his ex intimate friends. Allan--the chemist--rejected to help Dorian at first, but Dorian blackmailed him to do what he wanted, so that he was forced to do it. What was Dorian found in the Florentine cabinet that made him shuddered? What was Dorian’s threat on Allan that the victim got so scared and finally agreed to help the murderer vanishing the corpse? Had it been one of his secret? 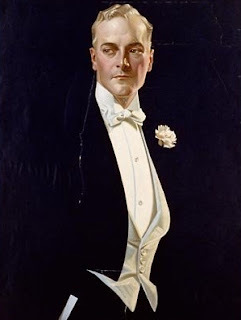 The more I digest this story, the more I like the character of Basil Hallward, the talented painter. He is a kind-hearted man, it’s for sure. From chapter XII-XIII it became clearly how he dearly loved Dorian Gray. Although Dorian had avoided him, Basil still cared about his dear friend’s reputation and his soul. When Basil finally saw the truth, how his friend soul was corrupted, Basil did not leave him. He did not look at Dorian with disgust, he asked him to pray together with him, to try to ask God for repentance. That’s what I call a true friendship! At one foggy night Dorian walked passed Basil on the way home. The latter had wanted to see Dorian for a serious matter. Basil had heard lately from his friends about Dorian’s bad reputation; that many of his intimate friends ended up in bad scandals; that many noblemen avoided him at the club. To all of them Basil had always stood up for his dear friend, for how a man with such beautiful innocent face could possibly did all the evil things they had accused him for? Basil then said that he must see Dorian’s soul before able to provide any answer. Here Dorian challenged Basil to really look into the depth of his soul, which Basil—I think out of curiosity—accepted. I kept thinking of what had started Dorian’s soul corrupting. Was that Lord Henry? Or was it Basil? At first I think it was Lord Henry, for it was he who had first influenced the innocent Dorian. But after reading this chapter, I have another thought. Was it not the painting that had begun all of it? It was the painting who intrigued Lord Henry to the soul of Dorian Gray (after seeing it in Basil’s studio – chapter 1). It was the same painting that at first planted the idea of immortal beauty and youth to Dorian’s mind. And that painting had been produced from a man’s idolatry to his model. I think it’s because Basil adored Dorian, that he could paint him in a perfect beauty. Idolatry is often dangerous because it persuades the idol to worship mortal things, and with that, he is very susceptible to negative influences and temptations. Did Basil deserve the punishment? I think so (although what Wilde did to him was rather too cruel…or not? At least Basil didn’t have to bear the pain any longer..). No living creature deserves worshipping besides God. 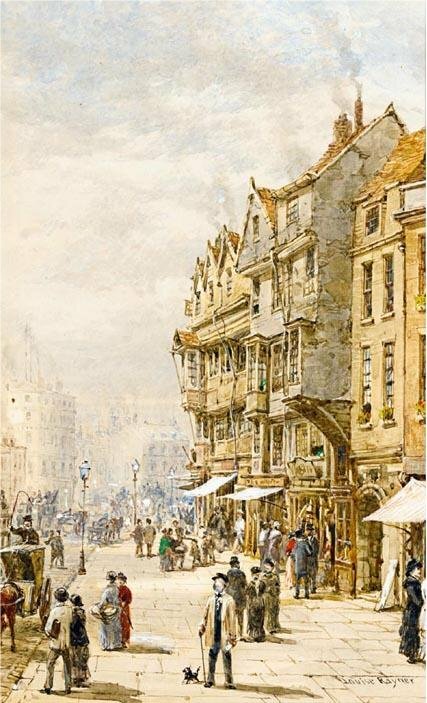 Here we are again, in the Victorian London of 19th century, still in our leisure walk together with Boz. 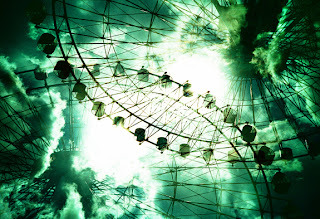 Before this, we have seen many interesting things in London, from the amusements to the streets andshops. Boz has also introduced us to some interesting people from severaloccupations, back in the Victorian era. 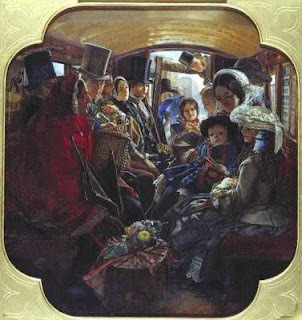 Today, I will accompany you in an exciting Victorian London excursion, by four different means of transportation. Of course, there are more than the four modes of transports at that time, however I choose only them which were often mentioned in Charles Dickens’ Sketches by Boz, from which I got the idea. 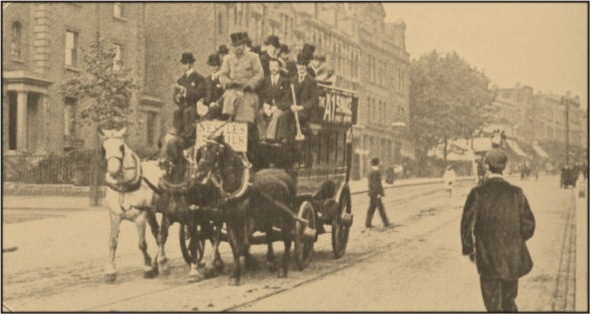 Hackney coach—hackney means horse for hire—is a four-wheeled carriage having six seats and drawn by two horses you can hire (cab) in the 19th century. 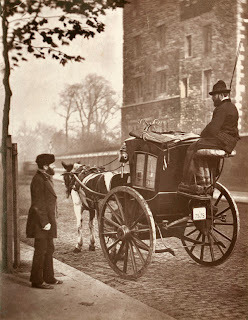 Hackney coaches were often the discarded and outdated coaches of the nobility, often still bearing their faded coats of arms. The hackney coaches were shabby with dirty interiors. They operated out of inn yards and from coach stands located near main streets [source]. 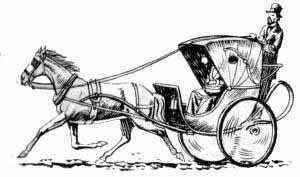 A two-wheeled, doorless, hooded, one-horse carriage; may come from the French cabriole, an indication of its light, bounding motion. A cabriolet can be driven by someone seated in the carriage. The design is intended to accommodate two comfortably. The collapsible leather hood allows passengers to enjoy sunny weather or shelter from rain. But the original cabriolets were for a single passenger beside the driver and were a kind of hooded chaise. 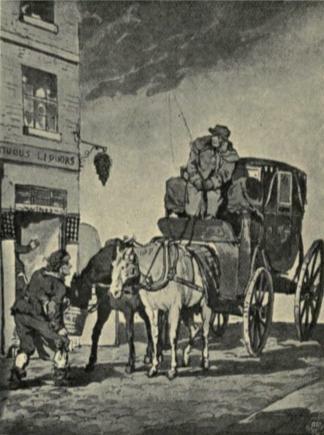 Cabs were introduced into England in the 1820s from France, and they quickly replaced hackney coaches. “Some people object to the exertion of getting into cabs, and others object to the difficulty of getting out of them. (…) The getting into a cab is a very pretty and graceful process, which, when well performed, is essentially melodramatic. You single out a particular cab, and dart swiftly towards it. One bound, and you are on the first step; turn your body lightly round to the right, and you are on the second; bend gracefully beneath the reins, working round to the left at the same time, and you are in the cab. In 1829, drawing his inspiration from a new and successful system in Paris, George Shillibeer launched the first regular omnibus service in London, running from Paddington to Bank, via the Angel. They ran fixed routes and were pulled by horses. 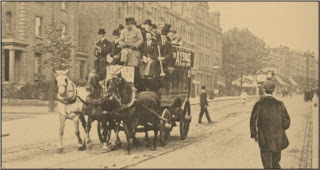 From the beginning of 1832 the fiercely competitive omnibus companies were authorised to stop for passengers anywhere on their licensed routes. Clusters of people assembled on the routes waiting for buses at peak times; the clusters, in turn, collected pick pockets. The omnibuses were designed to carry 12 or 15 passengers, but since more travelers meant more fares, people were often squashed on board, again presenting opportunities for petty thieves. By the 1880s, a circular staircase leading to the roof added more seating on top. They carried 12 passengers inside and 14 on top. 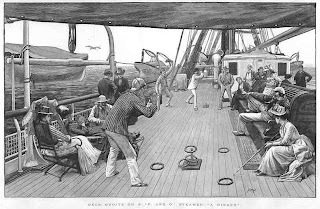 A steamboat or steamship, sometimes called a steamer, is a ship in which the primary method of propulsion is steam power, typically driving propellers or paddlewheels. Until the arrival of railways from 1838 onwards, steamers steadily took over the role of the many sail and rowed ferries, with at least 80 ferries by 1830 with routes from London to Gravesend and Margate, and upstream to Richmond. 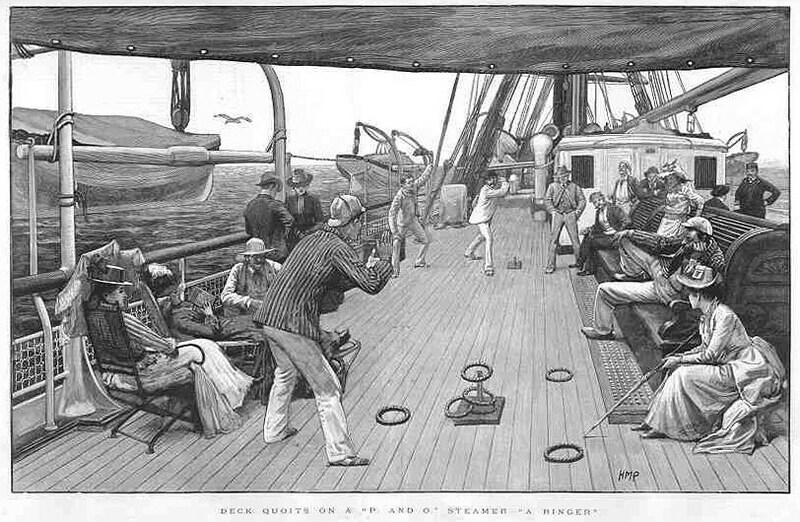 By 1835, the Diamond Steam Packet Company, one of several popular companies, reported that it had carried over 250,000 passengers in the year. 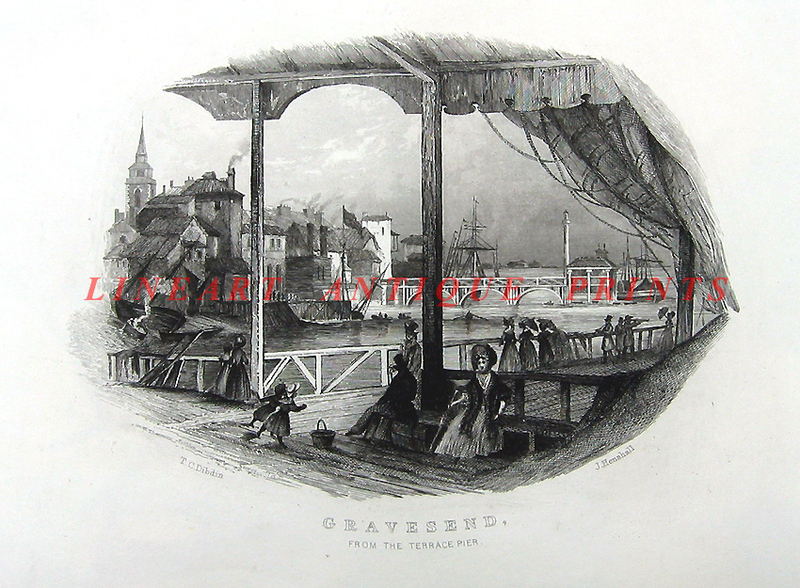 In the early 19th century, Gravesend was a favorite tourist attraction for Londoners, with a very pleasant riverfront, which included a beach, onto the busy Thames and a number of pleasure gardens, including Windmill Hill, which offers unrivalled views of the estuary, and surrounding countryside. The first steamboat plied its trade between Gravesend and London in the early 19th century, bringing with it a steadily increasing number of visitors to The Terrace Pier Gardens, Windmill Hill, Springhead Gardens and Rosherville Gardens. Gravesend soon became one of the first English resort towns and thrived from an early tourist trade. And this is where our whole lovely excursion in 19th century London together with Boz must be ended L.
Of course, we must thank Boz for these amusements, for without him, we would never enjoy such fun in the Victorian Celebration event. If you are curious about Boz, you can find more about him in my review of Sketches by Boz. I’m quite interested in a word Oscar Wilde used here: ‘Dandyism’ (I shouldn’t explain the meaning, should I? J). 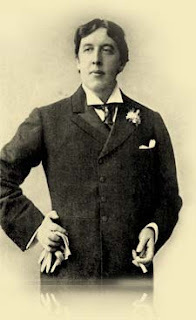 On searching in the internet about Victorian dandy style, I came across the photo of….Oscar Wilde himself! Don’t you think he is dandy too? And these are what people called dandy in Victorian era… Seems that flower in button hole and brocade waistcoat were fashion items for dandy men at that era. I’m also interested in his style in describing colors. 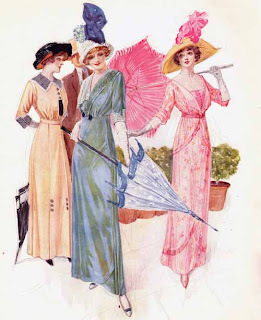 I think, being a fashionable man, Oscar Wilde was familiar with unique colors, such as: copper-green, mauve, sulphur-yellow, vermillion and gold, olive-green, etc. Dorian got fascinated with the ‘yellow book’ Lord Henry had lent him. He found the story was similar to his life, and soon got poisoned by the book’s idea. Meanwhile, for eighteen years the painting grew older and more evil, while Dorian’s beautiful and innocence appearance was remain the same, that many of his friends could not believe rumors of his evil behavior. During those years Dorian Gray tried to satisfy his Life with fascinating things, from fashion, perfumes, embroideries, music, to religion. He also became more obsessed to beauty, not only his own, but in others too, and even in his ancestor's pictures. You can say that his soul was corrupted more and more. Isn’t the biggest cause of sin comes from knowledge? Isn’t that why God forbade Adam and Eve to eat apples from the knowledge tree? Because the more man knows, the more he will desire to know, until he drawn himself to the sin. Page 153 on Hedonism, etc., what was Oscar Wilde tried to say? That hedonism was an unreal world where Dorian Gray had been hidden from his sins? I have no idea. I’m lost! L I think I can see the general idea, but I can’t follow Oscar Wilde’s mind. Honestly, I have never thought sky would be related with the color of green! Basil visited Dorian because he was worried about his friend's grieve on Sibyl's death. However he was startled by Dorian's ignorance by going to Opera with Lord Henry only one day after the tragedy, which Basil took as a negative change in his character. Meanwhile, Basil intended to exhibit his painting of Dorian Gray's picture in Paris, which frightened Dorian. When Basil would like to see his own painting, Dorian—of course—rejected. This lead to Basil's confession on his feeling towards Dorian that was reflected in the painting, which was the reason he rejected to exhibit it. After the painting went to Dorian's residence, however, Basil decided to exhibit it anyway. Dorian strongly rejected the idea and Basil kindly accepted his decision. That conversation then encouraged Dorian to hide the painting for good in an old room where he used to be in his childhood and youth days. At the end of chapter X, Lord Henry lent a ‘mind poisoning’ novel to Dorian. Just as sinners like to hide their sins in the darkest ‘room’ of their souls, Dorian securely hide the continuously-corrupted-painting into a dark old-dusty room where he kept the key and ensured that not a single soul should ever see it. How deep Dorian will fall? Sebuah buku yang menggedor pintu kesadaran kita semua akan perlakukan manusia terhadap sesama makhluk ciptaan Tuhan. Black Beauty adalah kisah tentang kehidupan seekor kuda, yang ia tuturkan sendiri dari sudut pandangnya. Kisah dimulai ketika Beauty masih seekor kuda muda (colt) yang masih menikmati indahnya menjadi kuda yang bebas merdeka di sebuah peternakan bersama ibunya. Beauty dididik dengan baik oleh sang ibu yang selalu menanamkan nilai-nilai kehidupan. Dari awal ibunya menekankan bahwa kehidupan kuda memang selalu tergantung pada manusia yang menjadi majikannya, kuda tak akan pernah merdeka. Mereka beruntung bila mendapatkan majikan yang memperhatikan kepentingan mereka dan memberikan kasih sayang kepada mereka, namun adakalanya nasib membawa mereka ke tangan pemilik yang kejam, dan memperlakukan kuda bak sebuah mesin. Kemanapun nasib membawa, sang ibu mengajarkan kepada Beauty, bahwa ia harus selalu berusaha sebaik mungkin. Setelah itu Beauty berganti-ganti pemilik. Ada pemilik yang baik hati dan memahami kuda, ada pula majikan yang hanya suka memaksa kuda bekerja keras. Beauty pernah bekerja sebagai kuda penarik kereta bagi tuan/nyonya rumah, pernah pula menjadi kuda penarik cabs (kereta taxi). Kadang ia merasa bahagia, kadang pula sengsara. Semuanya ia lalui dengan selalu berusaha melakukan yang terbaik dan tak memberontak seperti ajaran ibunya. Dan lewat penuturan Anna Sewell ini kita secara tak langsung diajak untuk lebih memahami tentang cara merawat dan menyayangi kuda, atau makhluk lain ciptaan Tuhan secara umum. Anda akan menemukan banyak pelajaran moral dari buku ini. Dan satu hal yang menarik, kuda—meski secara fisik nampak serupa satu sama lain—ternyata memiliki karakter yang berbeda karena masa lalunya pun berbeda. Sama seperti manusia! 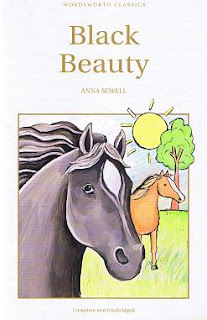 I always thought Black Beauty is a children book. Well, it is—perhaps, but I am grateful to read it as an adult, as I got so many deep philosophies throughout the book, which I might not have appreciated as a child. The main theme is how we should treat animals as God’s creatures, that animals—just as human being—can feel and need affection. Sewell gave several examples in this story, of people who ill-treated their horses, as if they were machines. In fact, not only that it’s not good for the horses, in the long run it was not good for the owner too. Over-working would only shortening horse’s productivity, and at the end the owner must sell it and buy a new horse after every short interval of time. There are a lot of other examples of ill-using of horses in this book that made me want to slap all those absurd people who only thought about their appearances. But on the other hand, Sewell also gives many examples on how you should treat horses (or animals in general). Being the same creation of God, they too need to be loved, like us. From Black Beauty and his friends, I learn that they didn’t mind to work hard, as long as the owner took care of their needs and stands for them when they were in danger or being treated badly. In the end, man and horse (which represent all animals) were all habitant of this earth. We can’t live alone; we need each other, so why don’t we work everything together, hand in hand? When man and horse can trust each other, they would be a strong partner in a harmony of life. Wouldn’t that be wonderful? Five stars for Black Beauty, it’s indeed one of those touching readings! "It was an exquisite day. The warm air seemed laden with spices. 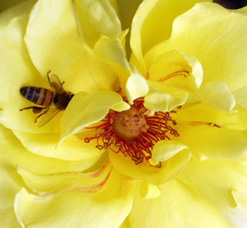 A bee flew in, and buzzed round the blue-dragon bowl that, filled with sulphur-yellow roses, stood before him." When Dorian woke up, he remembered about his cruelness to Sibyl after looking at the altered painting. He decided to write a letter to ask for her apology, and to propose that they should marry as they have planned. However, soon after the letter finished, Lord Henry came to bring dreadful news: Sibyl had been found dead last night after she committed suicide. It should be a blow for Dorian, for he had caused a girl to end her own life; and that's what he felt at first, before--as usual--Lord Henry injected his ideas about forgetting his past with a woman and that Dorian should continue his life. Once again Dorian struggled with his mind about how the painting could have altered, but in the end buried all his fears deep in his heart, and tried to follow Lord Henry's advice, to re-live his life, and went to the Opera with Lord Henry. "The girl never really lived, and so she has never really died. To you at least she was always a dream, a phantom that flitted through Shakespeare's plays and left them lovelier for its presence, a reed through which Shakespeare's music sounded richer and more full of joy." That quote sounds beautiful, and perhaps that's what happened, but to me it's thrilling. It's as if we can ignore other people's life because they are 'only dream' to us; a mere fiction character of a play. Listen people!.. Sibyl was as real as we are. Being young and naïve doesn't mean to be 'empty'. He had taken and altered Dorian's soul, and because of that, Dorian had caused Sibyl's death. "The fresh morning air seemed to drive away all his sombre passions. 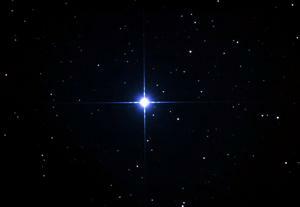 He thought only of Sibyl. A faint echo of his love comes back to him. He repeated her name over and over again. The birds that were singing in the dew-drenched garden seemed to be telling the flowers about her." That night Sibyl would play Juliet, and Dorian had proudly invited Basil and Lord Henry to watch the genius actress who would become his wife. However, Sibyl's performance that night was surprisingly very bad. Dorian became very angry to her, although Sibyl had explained that it is because of her great love to Dorian, that she could no longer acted as somebody else. In Dorian had she found herself, her life, her happiness. Dorian could not accept that, he coldly broke their engagement in a cruel manner, despite of Sibyl's cry and weep. Then that night, at his bedroom, Dorian found that his picture--painted by Basil--has changed! There was a cruelty on his expression. Could that be possible, that the picture reflected the soul of its subject? Dorian directly realised that the picture reflected what he had done to Sibyl! He would apologize to her the next day, and before that, he put a screen in front of the picture to hide it. To whom Dorian had fell in love? To Sibyl? NO. He fell in love to what she performed, to her acting. This is pathetic! "Cruelty! Had he been cruel? It was the girl's fault, not his..."
"...And, yet, a feeling of infinite regret came over him... He remembered with what callousness he watched her. Why had he been made like that?.." "...Lord Henry knew what women were. Why should he trouble about Sibyl Vane? She was nothing to him now..."
"...He would not see Lord Henry any more.. He would go back to Sibyl Vane, marry her, try to love her again... Poor child! He had been selfish and cruel to her..."
This is a scene on the road where Sibyl and her brother James took a seat during their walk. Chapter V is belonged to the Vane family. Sibyl lived with her mother—an ex-theater actress, and her brother James who was going to Australia to find a better living. Both mother and brother reacted differently on Sibyl's engagement with Dorian. Mrs. Vane, although doubt the young couple's seriousness, put a hope on her son-in-law-to-be, who she believed to be a rich nobleman. On the contrary, James—who quite racist to any gentlemen—detested the young man whom Sibyl hardly known (she hadn't even know his name, other than his nickname 'Prince Charming'). James sworn that if the young man wrongs her sister, he would kill him. Shortly before his departure, James forced his mother to reveal a secret, that his late father was actually a gentleman who never married his mother because of their backgrounds. In chapter VI Dorian was very excited to announce his engagement to Basil and Lord Henry. The three of them had an interesting discussion on marriages and pleasures, before they made a departure to the important night; the night when Sibyl would perform Juliet in the play they were going to attend. But I think he was not 100% correct. Lord Henry himself had shared quite big part in what had happened to Dorian Gray. Lord Henry did not approve nor disapprove Dorian's marriage, he just under-estimate marriages, and thought marriage only make one lack individuality. Basil didn't say anything, he was too surprised of that new fact and think it was just merely passion. At the end of this chapter the gentlemen departed to the theatre in two vehicles. Lord Henry could only take another passenger in his brougham (a carriage which can only take 2 passengers), so he asked Basil to take a separate hansom. Lord Henry—of course—took Dorian with him. For other people it is only a transport arrangement, but somehow Basil felt that he would 'lose' Dorian after that night, their relationship would never be the same again. Dorian Gray—In the excitement of his passionate love, Dorian realized the bad influences Lord Henry had been pouring upon him all these time. At this particular moment, Dorian disagreed with Lord Henry about love, marriage and pleasure. "When I am with her, I regret all that you have taught me. I become different from what you have known me to be. I am changed, and the mere touch of Sibyl Vane's hand makes me forget you and all your wrong, fascinating, poisonous, delightful theories." Oh..how fragile soul was so easy to change! Lord Henry—In chapter VI I saw clearly how Lord Henry was a hedonist. He praised a lot about Pleasure (Wilde purposely used capital letter), and he believed that one should only live for one's self.